- This gargopher sits quietly enjoying his favorite hot drink, as he contemplates the future. 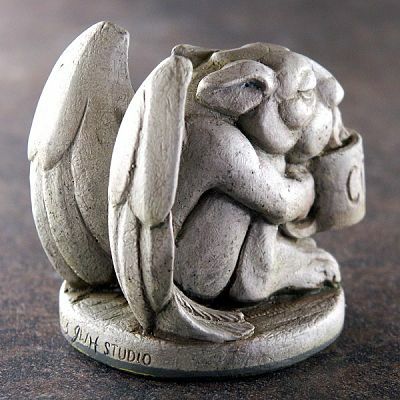 Whether he's perched atop the coffee machine or computer monitor, he is sure to keep good company, and will help guard against any troubles brewing ahead. At 2 1/2" tall, he's just the right size for keeping watch over your desk or bookshelf. Made of interior grade plaster. 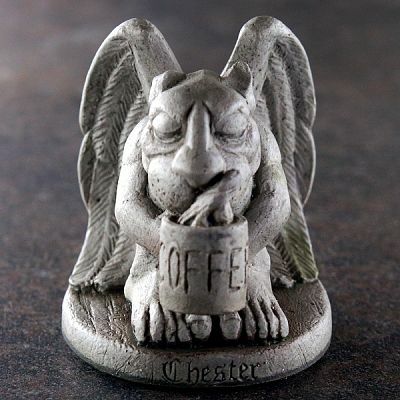 Do you have any other questions about our Coffee Haus Chester Statue?